Like peanut butter and jelly or pizza and beer, some things just go better together. For thousands of years, gardeners have found that planting certain plants together produces amazing benefits. From weed and pest prevention to advanced pollination, companion planting can turn your garden into an epicenter of growth. 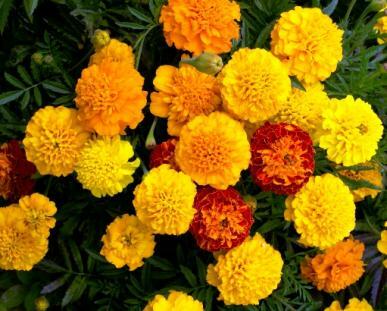 Marigolds are one of the most common flowers found in gardens. Their pungent odor is said to ward off beetles, hornworms, and aphids, all of whom love to munch on tomatoes. Additionally, the big yellow flowers attract bees, which can go on to pollinate vegetables for better growth. For the best marigold power, plant them in large clusters near tomatoes, squash, and cucumber. Once considered an agricultural nuisance, the cornflower’s reputation has turned around over the last few decades, and it is now recognized as a highly beneficial garden flower. 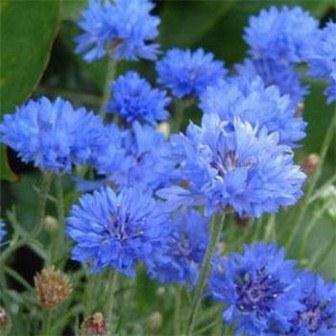 Cornflowers produce large amounts of pollen and nectar, attracting bees, hummingbirds, and ladybugs, all of which go on to pollinate your other garden fruits and vegetables. Ladybugs also eat aphids, helping keep your tomato plants bug-free. Not only are sunflowers tall and beautiful, they’re great for attracting birds and bees. After snacking on sunflower seeds, birds will wander through your garden, munching on beetles and other bugs that might be harming your plants. One of the oldest garden allies is borage and strawberries. 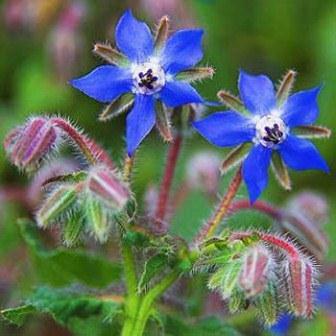 Borage is a culinary herb with pretty edible flowers. Somehow, gardeners discovered that Borage deters insects and diseases that plague strawberries, helping them grow larger and stronger. Borage is also a powerful pollinator, attracting bees, wasps, and ladybugs, all of which can pollinate other plants and kill off harmful insects. Borage has also been found to deter hornworms. Few gardeners take advantage of the many benefits mint plants behold. Not only is mint great for our own health, it’s been found that mint deters aphids, hornworms, and beetles. Mint also attracts pollinating insects and even earthworms. This companion planting tip is still debatable, but several gardeners have sworn that planting basil plants near tomatoes and peppers actually made them taste better. While we can’t say for certain this is true, and testing this theory would be hard, it’s worth a shot! 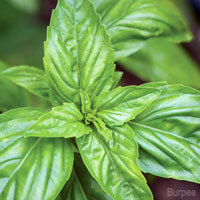 The smell of basil has the power to discourage beetles, hornworms, and mosquitos, and can also attract butterflies.